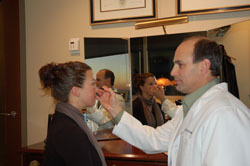 What measurements are done prior to rhinoplasty so the surgeon knows what will fit? There are many factors taken into account when performing a rhinoplasty. Size and shape of the face and head must be considered, as well as features of the nose such as the width of the tip, the bridge, and the nostrils. All of these factors need to be in balance. There is an artistic component in addition to technical and scientific skill in creating an excellent looking nose that matches and balances with the facial proportions. There is also a tremendous amount of experience that goes into planning and executing a rhinoplasty procedure to create a well-balanced nose that does not look like it has been operated on and fits well with the face. Will grafts for the nose implants be taken from other parts of my body? It is possible to that both natural grafts of cartilage removed from the nose or from the ear could be used to enlarge the nasal bridge. In addition, grafts are used to bolster the tip, rim, and mid bulk of the nose, or as spreader grafts. Sometimes synthetic Silastic implants can be used on Asian noses to augment a pre-existing nasal bridge that is too small. Is it possible for an ENT surgeon do nose surgery and turbinate reduction in the same surgery? 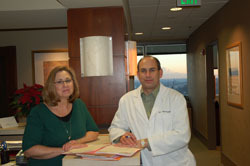 Turbinate and rhinoplasty surgeries can each be done by an ENT surgeon. To achieve an excellent cosmetic result attention should be paid to fining a surgeon who has done countless of aesthetic nasal surgeries. Turbinate’s should not be removed completely, it is best to just out-fracture them and take out a very petite portion. If too much turbinate are removed an empty nose syndrome can develop. It is recommended to be extremely conservative with turbinate surgery. Is it possible to reduce nostril flare or size? Changing the appearance of flaring nostrils is an incredibly complex problem to treat within the scope of nasal surgery. When there is significant notching upwards from the nostril rim, a compound graft of both cartilage and skin can be removed from the ear and placed on the inside of the nostril to take the flaring downwards. Narrowing wide nostrils can be done with an alarplasty technique. Trying to get both nostrils perfectly even with this surgery is complicated and risky since there is cartilage and skin grafting performed. Additionally, we all have preexisting asymmetries, for this reason it is vital not to intensify this during the surgery. During the surgery, there is very little downtime with the exception of placing some sutures on the inside of the nose and in the crease of the upper segment of the ear. What is the cost of correcting a wide nose bump? Make the nose more balanced and less prominent with other facial features can be done performing rhinoplasty. Nose refinement, feminizing, and matching facial features is extremely important. After the bump is shaved down, usually, the nasal bones are narrowed. 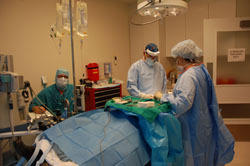 An estimated fee for rhinoplasty is $6,000, which consist of the surgeon’s fee, anesthesia, operating room, and anesthesiologist. What is the procedure to correct a bulbous tip and upturned nose? Refinement of the bulbosity of the nasal tip can be further refined using dome suturing methods where each lower lateral cartilages is stitched together with a dissolvable stitch that takes about four to six months to go away. When the procedure is completed using an endonasal approach, this will naturally decrease the upturned nose and drop the tip and de-project the nose. A cartilage graft to the small supra-tip may also be used to further push the tip down.